Fort Telecom is a Russian company with more than 10 year experience in M2M solutions development. The company focuses on vehicle, stationary asset and personal GLONASS/GPS tracking solutions and also develops telecommunication and IP-equipment. 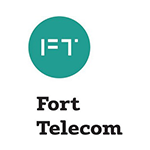 Fort Telecom products are distributed through a large dealer network in the Russian Federation and the CIS.